Going straight from and Arduino output to the trigger should be fine. the link to your materials list doesn’t work. nice website! could I use this as the circuit board: http://midisizer.com/midithru/ ? and I am wondering how much this project costs in total. I’d like to learn how to do this kind of stuff, but for someone with no electrical experience, perhaps would would be more efficient to spend the $40/50 on a 1>4 thru box? The Midizier is quite different and the boards are not interchangeable. 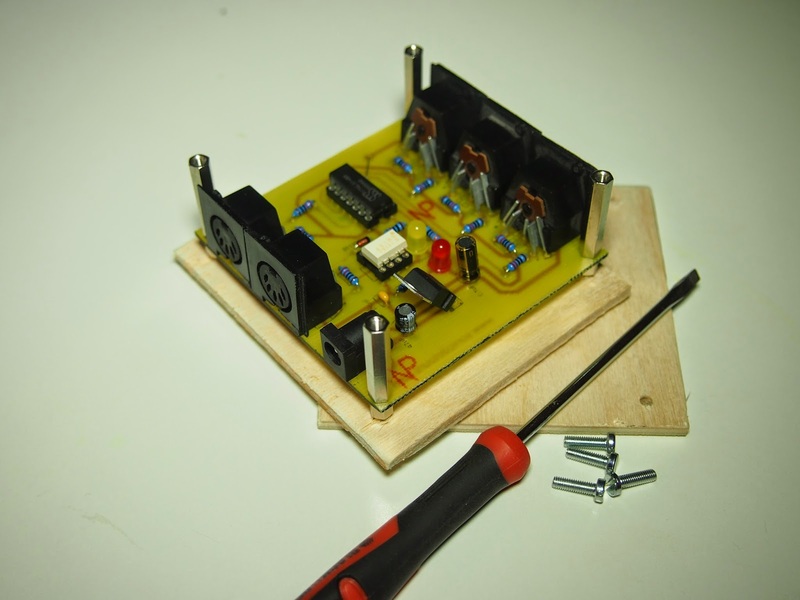 If you want to build this project you will have to make your own circuit board. The material cost for this project is probably 25-35 bucks depending on where you shop and how large quantities you buy. I wouldn’t recommend getting into DIY electronics to save money… it’s a lot of hassle and the initial outlay for tools and materials is way more than $50. If you are interested in electronics and ready to take some time out to to learn, it is a great hobby though. I love being able to build things exactly as I want them and mod/fix things I buy ready made. If you live near a hackerspace or fablab I would suggest paying a visit. They will most likely have all the tools you need for a project like this and there will be people there who can help you get started. Thank you. And I like your videos where you play your volcano. I have a Volca keys and really like it. I’m thinking of getting a Volca bass at some point.. Thanks. The Volca Bass is great synth, especially with a touch of distortion. Is it me or is the text on the github-board in reverse? (after transfer I need a mirror to read it ;)). Yes, the design is mirrored in the picture. 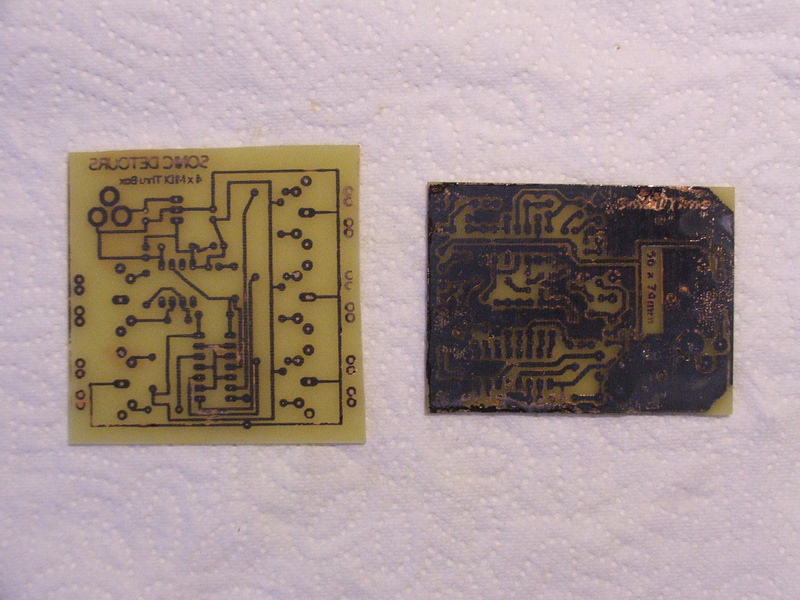 When I made the PCB, I printed the layout on a transparent plastic sheet and flipped it around. 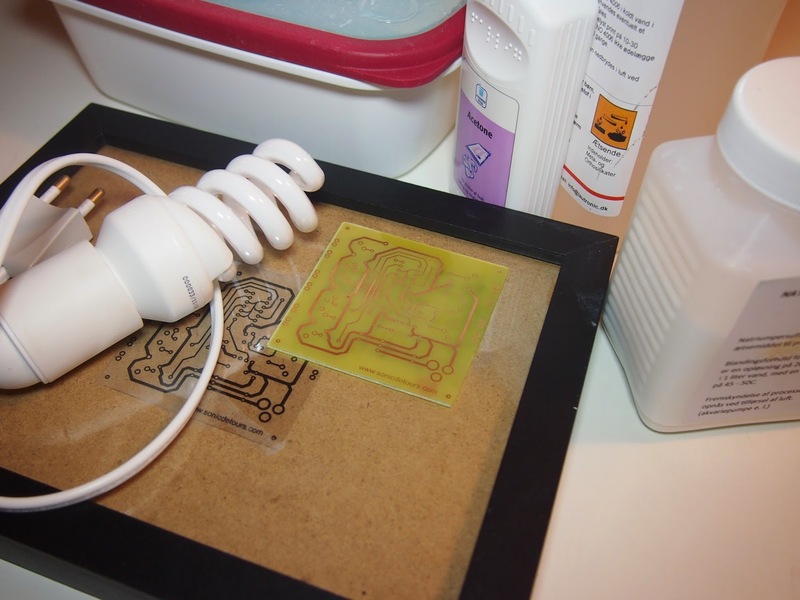 This way, the side of the plastic sheet that holds the ink will face the photo PCB when you expose it. If you don’t do it like this the traces on your board will be too thin. Sorry, I’m not following. Do you mean that the text is not mirrored in the Eagle file? I’ve actually used the pdf. Deducted from the design here on your blog it seems that the traces are correct. only the text in ‘non-mirrored’ in the pdf. Oops, looks like I forgot to update the PDF to the final design, sorry… it’s updated in the Git repo now. Judging by the looks of it, the one you have should work but if you already made the PCB I suggest you check carefully before you start soldering components. If you didn’t make the PCB yet, I suggest using the updated version – this is the one I used and it is confirmed to work perfectly. 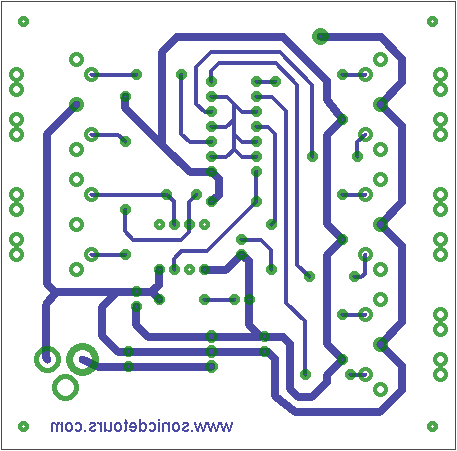 Also, you can use the free version of Eagle CAD for this board as it is smaller than 100 x 80 mm. Will indeed walk over it before soldering, but I think it’s good. Also the url to this blog in the readme is faulty.